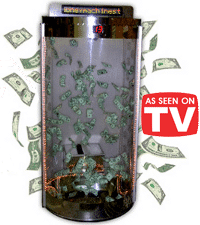 One of our most popular casino marketing tools, the Casino Cash Cube Money Machine will attract patrons to your casino and keep them there longer! Many casinos choose to offer hourly drawings where one lucky game player or casino club member is randomly chosen to step in to the Blizzard of Dollars Casino Cash Cube for a chance to grab at the swirling cash inside.  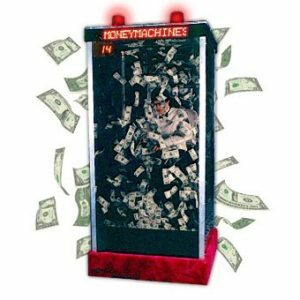 Category: Hard Case Money Machines. 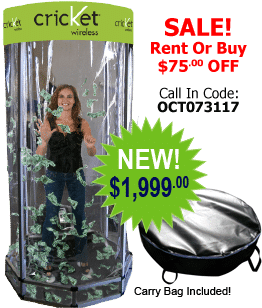 The sleek design and durable construction of the Octagon Money Machine make it the optimal choice for those on-the-go or with limited storage space. 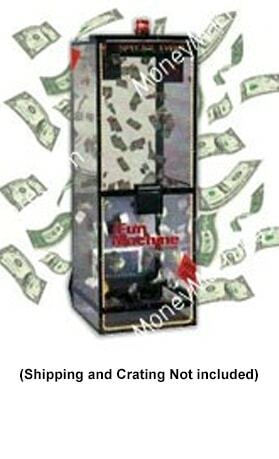 The Blizzard of Dollars Cash Cube Money Machine includes proprietary technology that keeps the money circulating and prevents “piling up”, a common problem in cheaper models made by our competitors. 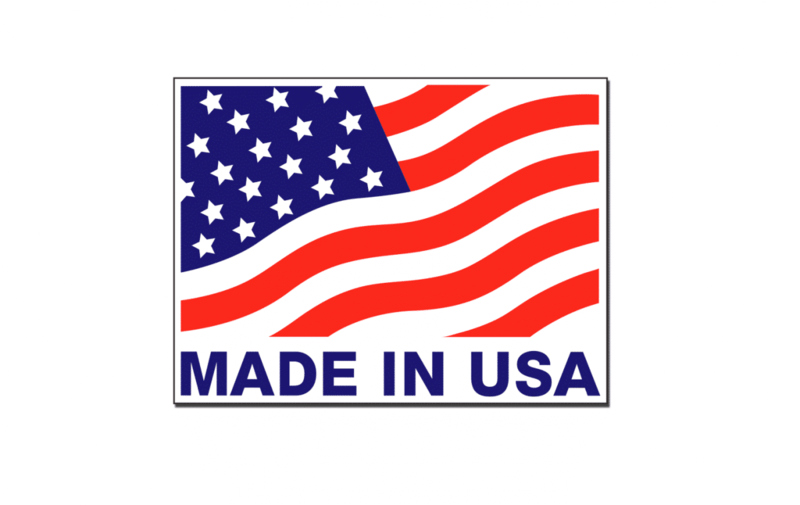 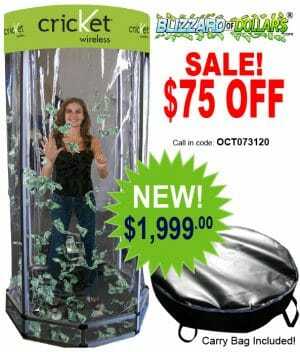 Our hard case Blizzard of Dollars Money Machines are the ultimate in convenience, durability, and ease of use.